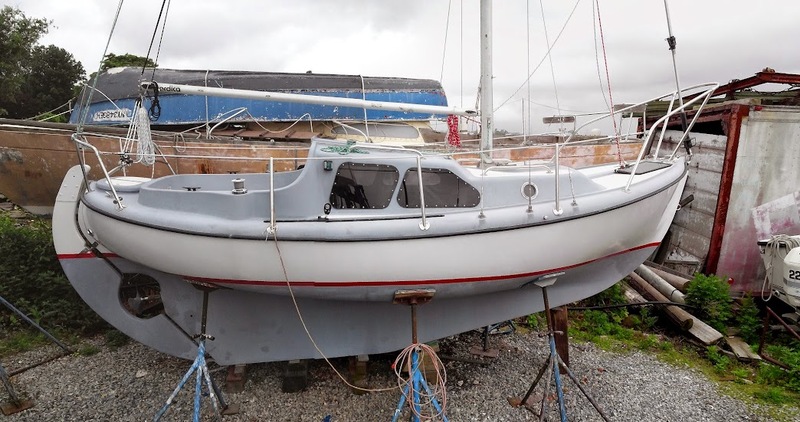 This boat is a Sloop with a Mast-head Rig, and 186 sq. feet of sail area. She has 3 Sails, Including Main Sail, Genoa, Jib. She has a Full-keel. 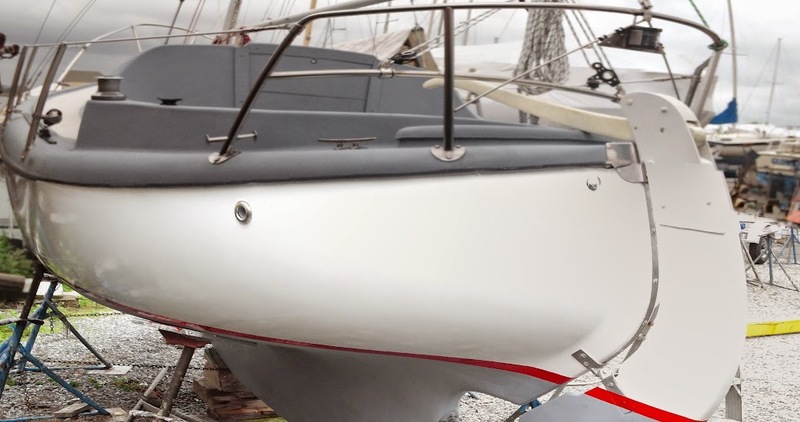 The Hull is newly Painted, and is in Recently Restored condition. 1 BMW D7 Diesel Engine, 7 horse power with 1 Hours. Propulsion: Fresh BMW D7 Diesel (30 minutes run time) manual and electric start. 40 amp Stator (alternator) new shaft saver, new stuffing box and cutless bearing. New shaft line cutter, new fuel lines and Racor and 10 gallon tank. 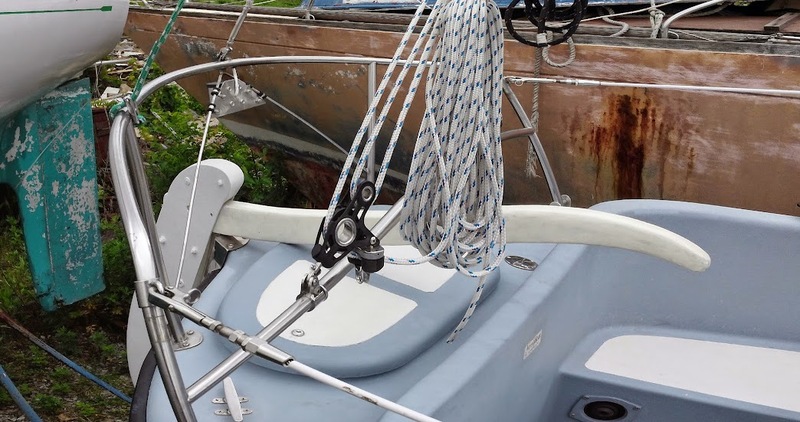 Rigging: new standing and running rigging, new Harken furler, new lazy jacks, new Garhauer blocks and Boom-vang. New UV cover and Genoa, excellent mainsail and Genny. New oversized lifeline Bow pulpit and stern pulpit. 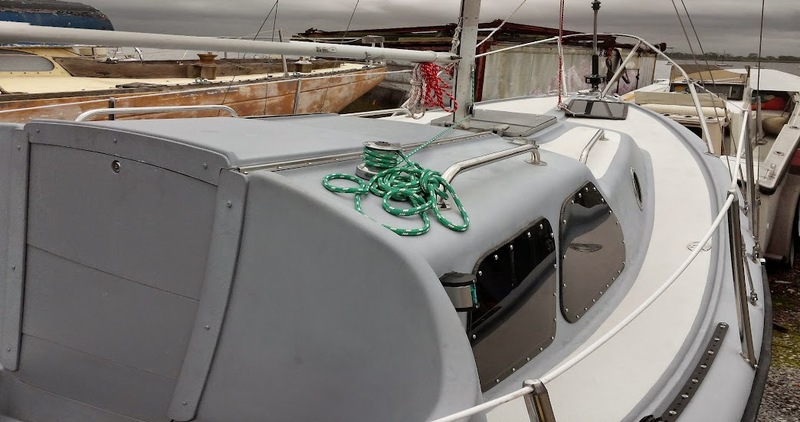 New mainsail cover and matching UV cover (cadet grey). 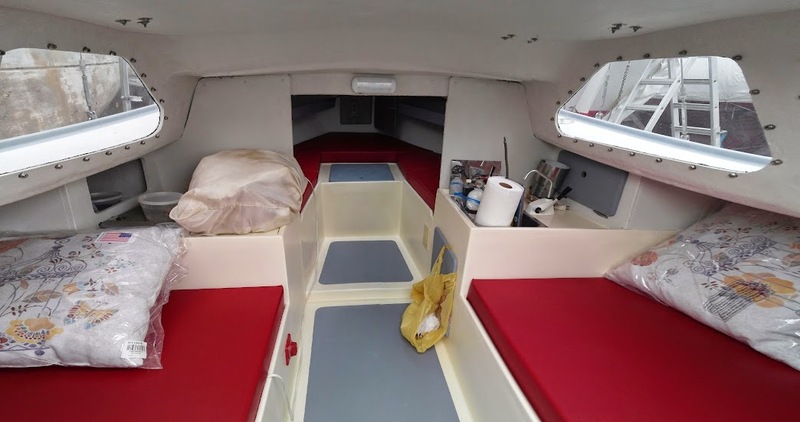 Interior: new bulkheads, new wiring and distribution panel, (12 v.) new 120 volt system and outlet. New built in ice box, new sink pump and 10 gallon water tank, new cushions & cushions covers. 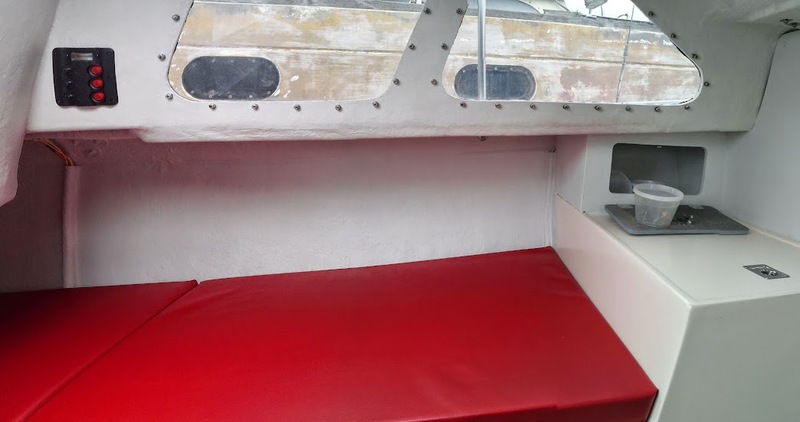 New cabin lights, new acrylic cabin windows, new wale bilge-pump. 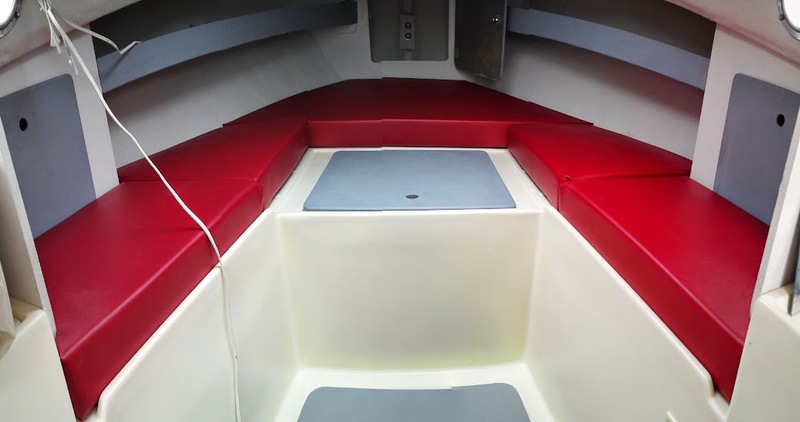 Hull: New topside finish (Matterhorn white), new water line, new barrier coat on bottom. New stainless steel deck fittings, new style Chrome Lewmar winches (3) new navigation lights. You are on your way to owning the largest 20 foot cruiser around. That's because this Nordica 20 has the means to take you wherever your heart desires. That means ocean sailing, lake sailing or anything in between can be accomplished aboard the largest 20 footer you have ever set eyes upon. She was built in Canada, which means a solid hull, molded in two half's and then bonded together. Her Fresh BMW D7 Diesel Engine, has only 30 min of run time. Down below you'll enjoy a newly refurbished interior. That means all-new cushion-covers, new port-lights, New Bulkhead's, new selector panel. On deck you'll enjoy a top-down refit, including new deck-fittings, new rigging, new stanchions, new pulpit and new extra thick life-lines. 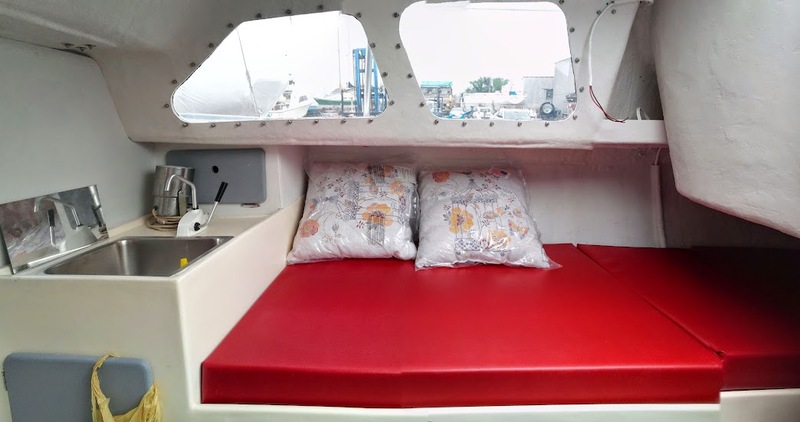 This boat was rebuilt for the heavy-weather sailor. That means nothing has been left to chance. From bow to stern she has been equipped with all-new sailing gear, canvas, mechanics and wiring. 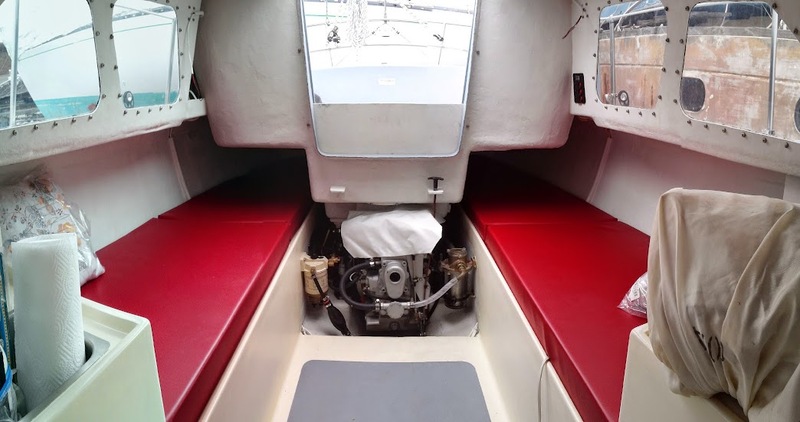 This Nordica 20 is totally restored and completely ready to take on the seas. She sits on the hard on City Island, ready to launch. Your sailing Adventure begins with this Nordica 20.